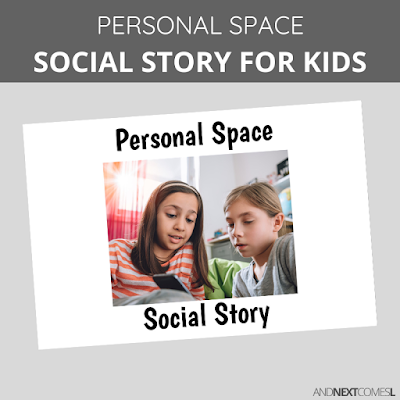 Here you'll find social skill tips for how to teach kids about personal space. Personal space is something my son really struggles with, as do most kids with autism. It's like he needs to be touching me at all times with his hands and feet or standing so close to me that I have to refocus my eyes. He basically touches shoulders with people when sitting next to them, simply unaware that he is too close and causing the person to feel uncomfortable. However, with these 9 simple tips for teaching kids about personal space, he will be a rockstar at understanding personal space in no time and then we can check it off of our massive list of social skills to work on. There are lots of different ways to teach kids about personal space. And let's admit it, most kids could use a bit of help when it comes to personal space, right? Here are 9 ways to teach kids about personal space. This tips work perfectly alongside the personal space social skill pack. When it comes to teaching social skills to kids with autism, I'm a firm believer in a good social story. Write a social story, or at least find one, about personal space. 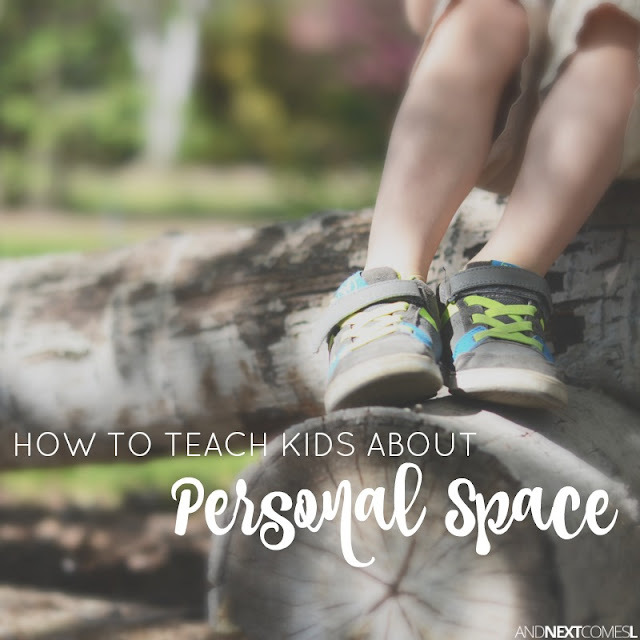 It should outline what personal space is, what good personal space looks like, social cues for your child to look for to determine whether or not they are personal space invaders, and what to do when they need personal space. Visual cues are super helpful for kids, especially those with autism and/or hyperlexia. You can use a visual clue like a hula hoop to demonstrate the invisible personal space bubbles that we all have. Or try holding a beach ball between you and your child to show how much space is needed. 3. Let them feel "too close"
Have your child slowly walk toward you, describing how he is getting closer, just right, and too close. Ask your child how they feel at each distance. When you find a distance that your child finds uncomfortable, or "too close," then explain to them that that is what others feel when he/she stands too close to them. Video modeling is one great option! You can simply record you and your child standing too close, just right, or too far away. Then watch the videos with your child and discuss what is expected and unexpected about each video clip. You can also model good personal space in your everyday interactions. Remind them that they are standing too close or saying things like, "You look uncomfortable and stiff. I must be standing too close to you right now." Come up with a plan for your child so that they know what to do or where they can go when they feel like they just need some space. A calm down corner or a calm down kit may be helpful for this situation. These free printable visual calm down strategies would be a helpful tool as well! Practice makes perfect, right? Kids can master the rules of personal space simply by practicing and repeating the skills over and over. Teach your kids the one-arm rule. That is, keep one arm length between you and your friend to maintain good personal space. Role playing is one way to practice personal space with your kids. You could even use their favorite toys or stuffed animals to demonstrate the concepts of personal space! Spend some time looking at pictures of people with your child. Talk about the body language the people are showing and whether or not good personal space is being observed. You're too far away right now. You're standing too close to me.